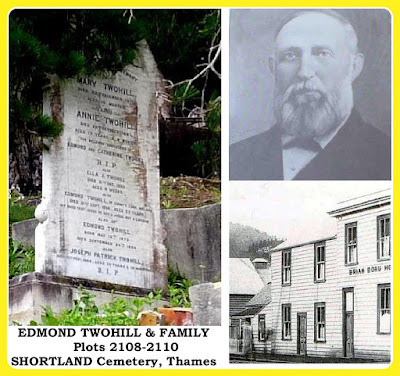 SHORTLAND CEMETERY BIOS: EDMOND TWOHILL. The grave of Edmond Twohill stands upon the hill at Shortland Cemetery along with several of his children. 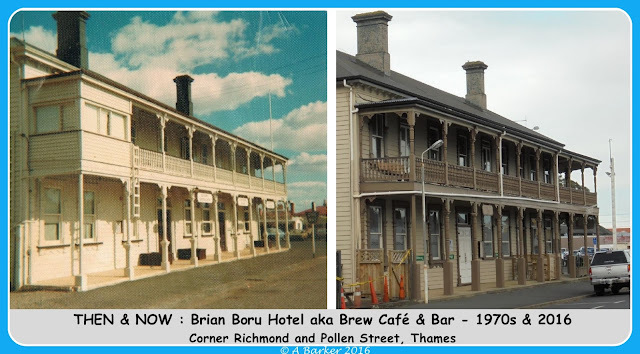 The Twohill family, remembered on the Thames Goldfield for their years at the Brian Boru Hotel, corner Pollen & Richmond Street. Edmond Twohill the owner and landlord of the Brian Boru, was from County Cork (Ireland), he died 21 September 1896 aged 62 years. The hotel was then managed by his wife Catherine, children and descendants until 1974. The hotel was rebuilt following fires in 1904 and 1905; the hotel building we know today was opened in 1906. The hotel, is today the Brew Café and Bar. 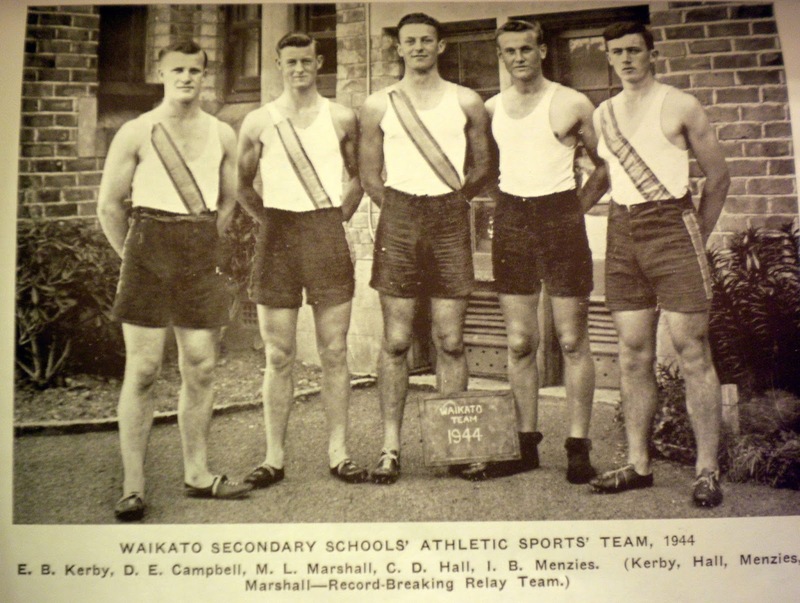 Have any Thamesites represented New Zealand at an Olympic Games? Good news, we have at least one! Maurice (Moss) Lane Marshall (12 January 1927 – 16 May 2013), was Olympian No 70. He attended Thames High School 1940-1944. 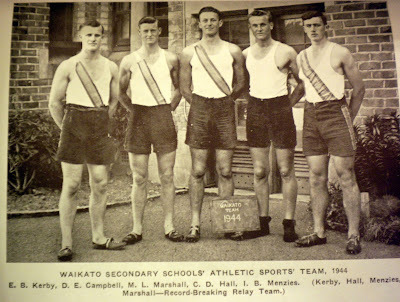 "At the 1950 British Empire Games in Auckland he won a bronze medal in the mile run and then participated in the 1952 Helsinki Olympics in both the 1500 m and the 800 m."
In his last year at Thames High School, Marshall helped the school to win a senior relay event.